Liking in "The Scarlet Letter"
5th and 6th staves of "Edju"
10th Stave of Edju and the first barrel is almost done. 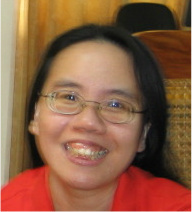 Jill Chan is a poet, fiction writer, and editor based in Auckland, New Zealand. Her poems and stories have been published in MiPOesias, Blue Fifth Review, foam:e, Mascara Literary Review, Asia and Pacific Writers Network, Otoliths, Eclectica, Snorkel, Broadsheet, JAAM, Poetry New Zealand, Takahe, Deep South, Trout, Denver Syntax, The Tower Journal, Metazen, A-Minor, 52\250 A Year of Flash and other magazines. She is the author of Alone and Other Flash Fiction https://www.amazon.com/Alone-Other-Flash-Fiction-Jill-ebook/dp/B077HKQ5T4/ (2017); What We Give: a novella https://en.calameo.com/books/005063882e0b5bfd690e8 (2017); Phone Call and Other Prose Writings https://en.calameo.com/books/00506388215ef7624f6ed (2017); The Art of It: Three Novellas https://www.scribd.com/document/55137433/The-Art-of-It-Three-Novellas (2011), and six books of poetry: What To Believe https://en.calameo.com/books/0050638822fcc50af0a2b (2017); On Love: a poem sequence (2011); Early Work: Poems 2000-2007 (2011); These Hands Are Not Ours (ESAW, 2009), winner of the Earl of Seacliff Poetry Prize; Becoming Someone Who Isn’t (ESAW, 2007); and The Smell of Oranges (ESAW, 2003). She is one of the poets featured in the New Zealand Poetry Sound Archive. I cannot not write. Writing is an impulse I cannot suppress. Katie Ford, Paul Celan, Denise Levertov, Mark Strand, Stephen Dunn, W.S. Merwin, and many others. Hi Jill, thanks so much for your thoughts on Sounds from the Sun. Glad to have you here in Fictionaut! Jill, thank you for kindly commenting about "Postcard". I love your recently posted, new poem. Have added you to my contacts and look forward to seeing more of your work. Jill, thank you so much for your comment on and fave of "Eleutheria." Jill, I so appreciate your support of my work. I haven't been doing this long, so every little boost helps. There are a few of us kiwi writers here on FN - Michelle Elvy said she'd been toying with starting a FN group for us, but we fear there are only a few. Do you know of any others and if it might be worthwile? Jill, thanks so much for reading "Windows." Your single word reaction means so much! The essay was short listed for the Takahe cultural studies comp in 2010, but I'd sat on it since, thinking it wasn't publication material. I'm now rethinking. Again, thanks for reading. Welcome! And thank you for the generous commentary and fav on "Innocence". Thanks, Jill, for your comment on my Mirko story "Sounds of Silence". Thanks so much for the kind response to " Emigre'"...very glad it appealed to you. Thanks,Auckland,for noticing textures. It's a deal I try to get right. Glad you heard me. thanks for liking my story, "Tokyo" and for the comment! Jill, Thanks for commenting on "Three Stories of You." I'm glad you liked it. Jill, welcome to Fictionaut and thanks for reading/commenting on Feral. It's much appreciated. I'm glad you enjoyed the Bestiary piece, Jill. Thanks for reading. You must log in to write on Jill Chan's wall.